When you first look at a bounce house manufacturer to start building your small business the last thing on your mind is likely charity. Most people give to charity a few times a year, but what you may not realize, especially if this is your first business, is that charity opportunities can be a great way to get your business known to the public, which means more bookings for you and more money for your business. But how can your bounce house business help some sort of charity? Ask friends and family if they know of any organizations that have some sort of annual fundraisers. 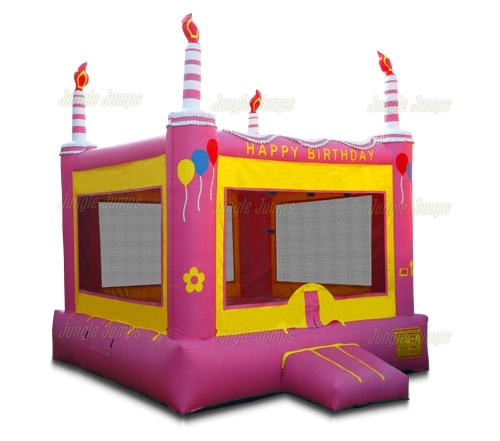 You’ll quickly find that a lot of organizations have fundraisers on a routine basis, which means lots of opportunity for you to get your bounce house business known. 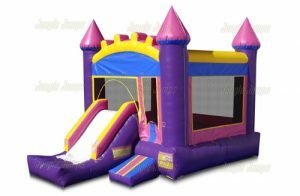 Before you approach just any charity, though, it’s important to make sure that the bounce house that you have to offer to the charity to use will suit their fundraiser. You wouldn’t want to offer up the use of a bounce house for free for a raffle charity, as it wouldn’t suit. But any sort of charity where there are activities going on, such as a charity fair or even a charity bingo, would be the ideal place to set up your inflatable. When it comes to using charity to further your business there is one important word: contacts. Firstly you’ll need to get contact information for the organization that you’re going to be helping out. Today most charity organizations have a website with all of that type of information directly on it, which can make it very easy for you to find what you need. Contact the person in charge, introduce yourself, and explain what your business is. Then tell the person that you were hoping that your business could help the charity to raise money and listen as the other person gets very excited. Once at the charity event you need to make contacts with the people who are attending the event. Make sure that you are by your inflatable as often as you possibly can be and that you have business cards ready to hand out if asked. It’s not polite to start forcing your cards on people at a charity event, but it’s absolutely fine to give people a card if they ask you for one. Charity events can be a great place to help build your businesses size as well as it’s reputation! This past month there was a terrible event in Long Island, New York involving three bounce houses. The houses were blown across a field by a gust of wind while children were inside. Thirteen people were injured. Not all inflatable companies follow necessary safety procedures, as appears to be the situation in this scenario. What makes this stand out from others, is that it was all caught on home video and unleashed on the internet. The story was one of CNN’s top emailed headlines for an entire day. So what does this mean to your inflatable business? We all know that one apple can spoil the whole bunch. With so many viewers of this video and it having gone viral at the time, this unfortunate event really gives the inflatable business a bad name, as being unsafe and even dangerous. This also demonstrates the importance of taking all of the necessary safety precautions to keep everyone safe. Address any safety concerns that your customers may have, stressing that your business follows all of inflatable safety procedures to the letter. You should also include any accident-free track record you have established in all sales and marketing literature, as well as on your web site. Noting that you are different from these “fly by night”, unsafe companies will put your customers at ease using your products for their events. Always keep your equipment in tip-top condition. Promptly address any damaged or malfunctioning equipment. Carefully select the site location for the inflatable, on a flat ground, clear of any debris, trees or power lines. Securely stake the inflatable to the ground, or have weighted bags securing them into place. When inflated make sure there is no sagging material anywhere on the inflatable. Always stay on top of the weather forecast on the days leading up to and throughout the day of the event. Do not hesitate to deflate the inflatable if rain, lightning, wind or snow presents a safety concern. Limit the number of individuals in an inflatable at any given time. Group children in the inflatable according to size, and do not allow any child under three years of age in the inflatable. The operator should stay alert at all times. Watch for problems with the individuals inside, any deflation of the inflatable or sudden gusts of wind and be ready to take action accordingly. Sharing these safety guidelines with your customers, with the assurance that your company will always abide by these will also help to combat any negative reputation inflatables may have. Nearly every industry will at some point take a hit from the media. Just remember that in time any backlash from this news story will blow over. 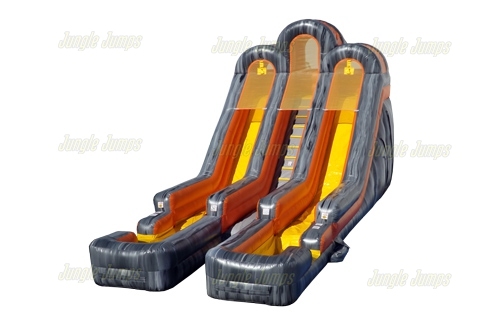 Reputable inflatable companies providing a fun activity far outweigh the others. When you own a multi-million dollar business you can hire people to do everything for you. When you own your own small business, however, everything that needs to be done has to be done by one person: you. This is especially true when you are just getting started. 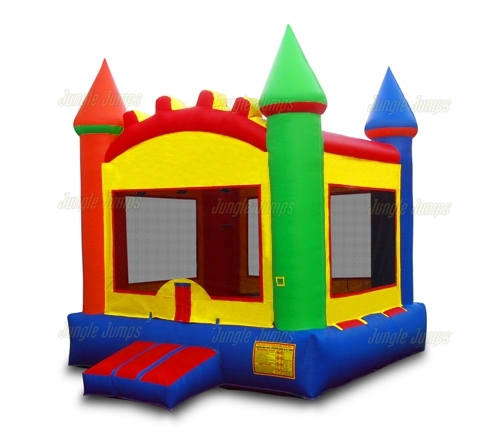 One mistake that many people who start a jump house rental business make is in not cleaning out their bounce houses properly on a regular basis. When you’re dealing routinely with picky parents and children who love nothing more than to make messes, it’s a good idea to clean out your jump houses thoroughly and routinely. When you first look at a jumper for sale it can call to you, and part of the reason why it can be so enticing is because it is clean. It’s the new car syndrome – new cars always look more appealing than your current vehicle simply because they’re clean and have that “new car smell”. 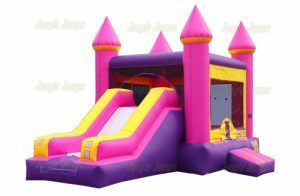 With your jump houses, though, you can actually keep them as appealing as they are when you first purchase the jumper for sale simply by making sure that you clean them on a regular basis. Firstly realize that children are messy, and the younger the child, the messier the mess will be. A good routine to get into is sanitizing and cleaning out your inflatable after every use. If you have a busy weekend renting out your jump house, you may need to wait until the weekend is over. To clean it thoroughly you’ll have to make sure it’s inflated. This allows you to get into all of the little cracks thoroughly. The outside of the jump house, such as the top and the sides, may need to be cleaned only a few times a year, but areas where children touch, like the step to get into the jump house, should also be cleaned as often as the inside of the house is cleaned. If it’s possible try to clean the jump house in a shaded area. If you must clean it in a sunny area, work in small patches. Spray a gentle cleaning solution, like Simple Green, onto the area and use a soft rag to clean away the spray. The more cleanly your inflatables are, the more satisfied your customers will be, which means repeat business, and more money in the pocket, for you. The inflatable business is very susceptible to inclement weather. Rain, lightning, wind, and snow can all put your equipment and attendees at risk. Because of this you need to always stay on top of the weather forecast leading up to, and throughout, the day of the event. The question of what constitutes inclement weather is certainly a matter of opinion. You need to use your judgment with regard to allowing the rental of your inflatable products for an event. A snowstorm or sleet and hail are also almost always enough to cancel the inflatable for the event. Inflatables should also not be used in winds that exceed 25 mph. This type of weather is not only unsafe for the event attendees, but it also puts your equipment at risk of being damaged. Rain is another judgment call for your and your business. Water can make many inflatables very slippery and unsafe. If the weather changes during the day of an event and becomes unsafe for attendees to use the inflatable equipment everyone should be removed from the equipment immediately. During rain simply leave the blower on until the rain stops. When a customer is booking an event you should always make them aware at that time of the weather and refund policies for your equipment. If possible, having this information in writing, as well as told verbally to the customer is optimal. Being up front with your customers will head off any problems or bad feelings if the weather is not cooperative and you cannot provide the equipment for an event. Inflatable businesses vary with their refund policy with regard to inclement weather. Some businesses require customers to cancel a minimum of four hours prior to the event to qualify for a full refund. This type of policy puts you at risk for disgruntled customers if the weather changes at the last minute or you yourself choose not to attend the event because of the weather. A little flexibility with your policy will go a long way in establishing positive relationships with your customers. If you are forced to withhold inflatable products at an event because of the weather, and the event is still being held, it may be useful to offer your customer other products (concessions, add-ons) that your company may have available. This may also help to establish a positive relationship with your customer, appeasing them and still helping to create a successful event. At the very least, to protect yourself and your business it is a good idea to require a small (10% or so) non-refundable deposit when a customer reserves equipment. If your customer is interested in rescheduling the event and your services then you should be open to this. Remember that the ultimate decision whether or not to use your inflatable during inclement weather should be left up to you. Consider the safety of the attendees and your equipment to make an educated decision.